Did you know these things can contribute to Breakouts? Are you experiencing a bad break out but you are unclear on why?? All you know is that breakouts are making you freak out. As skin care specialists we here this quite often from our clients. 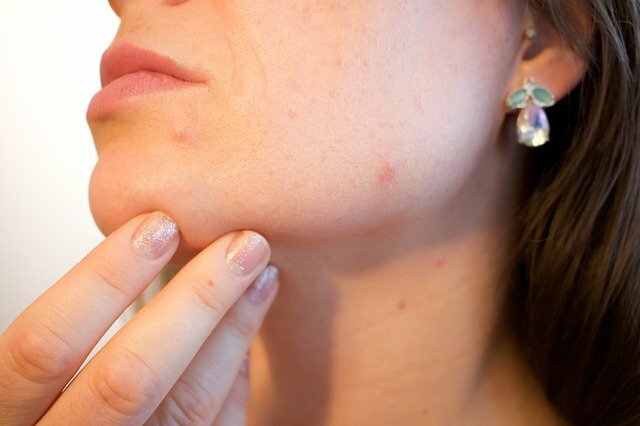 Although acnes and pimples mainly have to do with the over production of oil, blocked follicles and bacteria within these follicles and genetics, there are some things that can contribute to a break out. We thought we would let you in on a few of the things so that you can make sure they aren’t daily habits of yours. Are These 3 Things Triggering Your Breakout? Sulfates in Shampoo- Yep, most hair products contain sulfates and other pore clogging ingredients. So we encourage you to be mindful when washing your hair and try to avoid shampoo and conditioners running down your skin. Stress- When you are under stress your body produces stress hormones which can contribute to increases oil production. Increased oil production leads to clogged pores and yes, pimples. We recommend trying to keep your stress levels minimized through exercise or some form of meditation. The “Beard”– You love your man’s beard, but it can cause the freakout you are upset about. If his prickly beard or even shadow rubs on your face, friction is created. This friction increases oil production….and yes clogged pores and even beard burn. These are just a few surprising things that can cause unwanted breakouts. A regular skin care routine of cleansing, toning, and moisturizing is a very important part of the overall health of skin. A healthy diet, stress management and good sleep also contribute to healthy skin. If you have nay questions or skin concerns, we encourage you to reach out to us! We are happy to provide you with a skin consultation and help to determine the best skin care routine for you and your lifestyle! GLO Skin Spa is a unique and beautiful skincare day spa located in Fort Collins, Colorado. To learn more about GLO gift cards or to purchase, please click the above image.